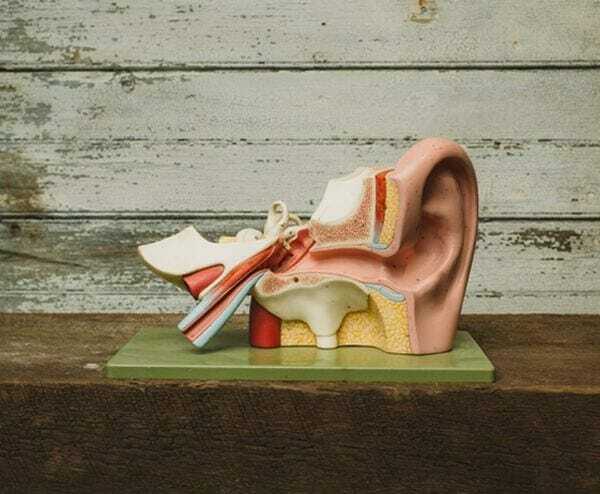 Vintage Somso anatomical model of the ear with hand-painted numbers and a removable ear drum. Manufactured during the early 1970s. Somso was founded in 1876 and is renowned for its highly detailed and scientifically accurate educational tools. Both the Somso logo and “Made in West Germany” are stamped on the base.